This is one of the best modifications you can perform on your machine! Enhance the brightness of your game tremendously and easily with our plug n' play double pinball spotlight kit. 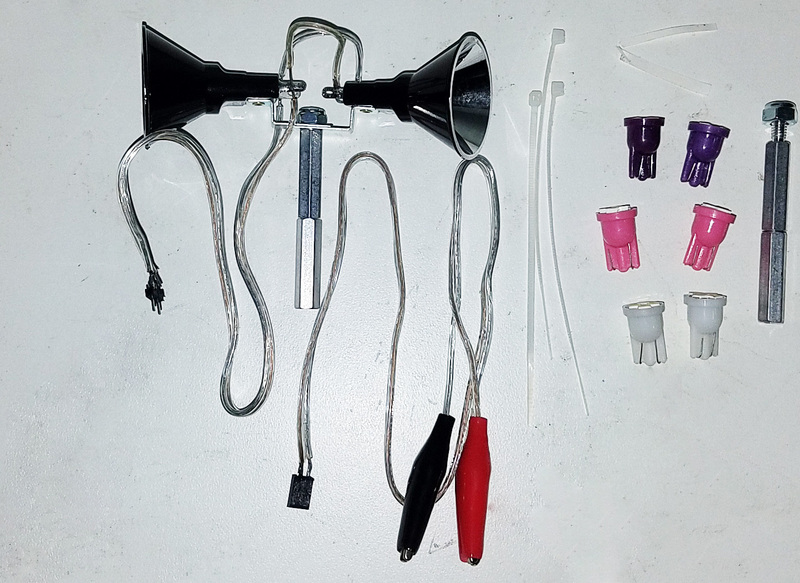 This kit requires no soldering and easily plugs into an existing GI lightbulb in your came. The image of two side-by-side fish tales shows how our spotlight kits can benefit your game. Both machines have nearly identical lighting. 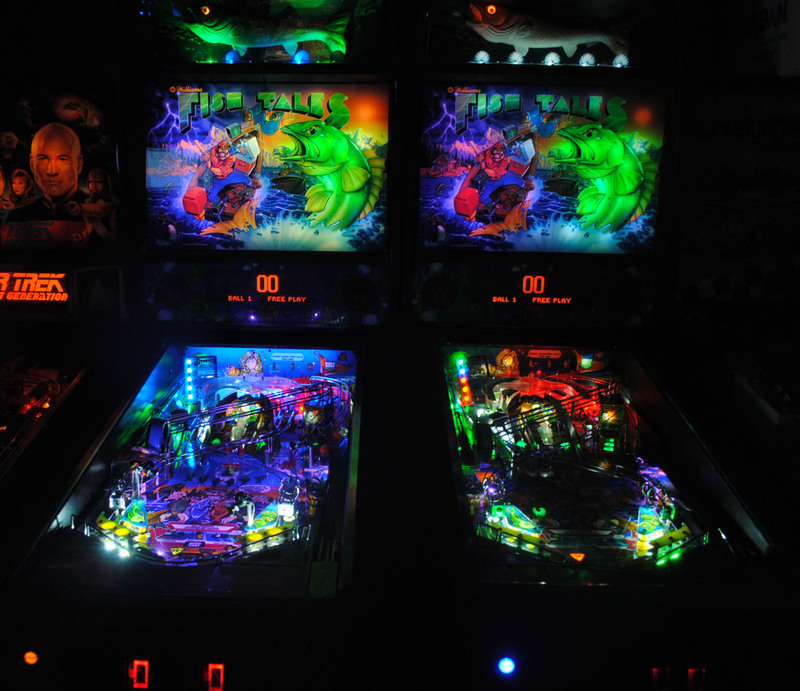 The images are taken in a very dark room with only the light from the pinball machines lighting the playfield. The machine on the right has an LED kit. The machine on the left has an LED kit plus our spotlights and lightstrip in the back. Notice on the machine on the left, the lighting is even throughout the machine. On the right, the light is intense around the plastics, but there is a dark tunnel in the middle of the playfield. It is very difficult to play the machine on the right in the dark. It requires overhead ambient lighting to play well. The machine on the left can be played in a very dark or poorly lit room. - 4 posts to adjust the height. Both 6-32 and 8-32 sizes to fit any machine! -2 Super spotlight bulbs of your choice such as our exclusive 8 SMD spotlight bulbs. Our double pinball spotlight kits are now a universal size! You will get both post sizes needed for any pinball machine. We also now include 6 super spotlight bulbs totally free! You will get 2 Cool White, 2 Purple and 2 Pink. Experiement on your game with each color or use a combination of both. Whatever you feel best to illuminate your playfield art! Click here for installation instructions. Choose which spotlight bulb to include.